S/Sgt. 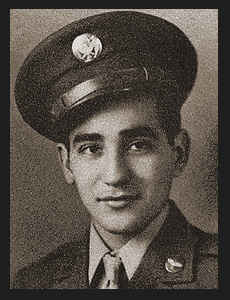 Louis R. Rivas, son of Mr. and Mrs. John Rivas, attended Chickasha High School; husband of the former Sylvia Witt. Entered Air Corps in Oct., 1942, trained in Sheppard Field, Laredo, Tesxas, Keesler Field, Miss., Tuscon, Ariz., Purble, Colo.; served in Australia, New Guinea, S. Pacific; was discharged in Oct. 1945. Awarded Asiatic Ribbon with three Battle Stars, Good Conduct Medal, Air Medal with four Oak Leaf Clusters.